Baked salmon topped with a sweet ginger glaze made with fresh ginger, honey, lime juice, and a pinch of sriracha. 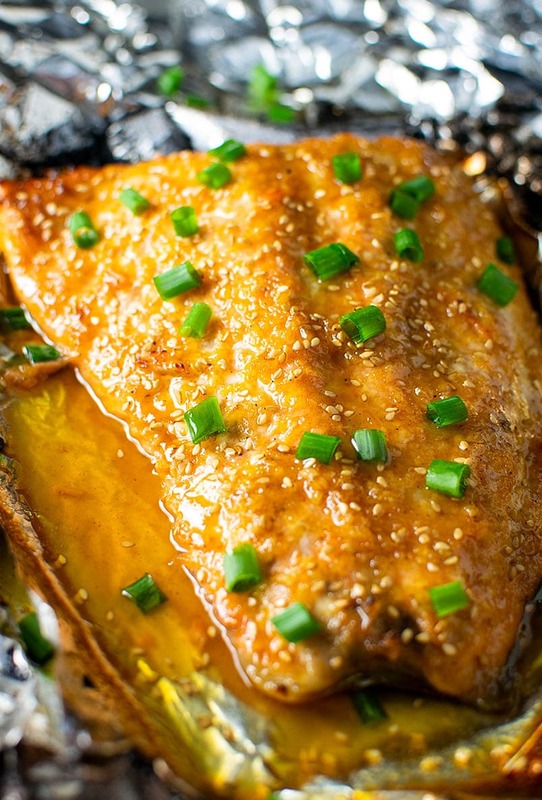 Sesame ginger glazed salmon is a huge win for Asian inspired salmon. We eat salmon at least once a week. 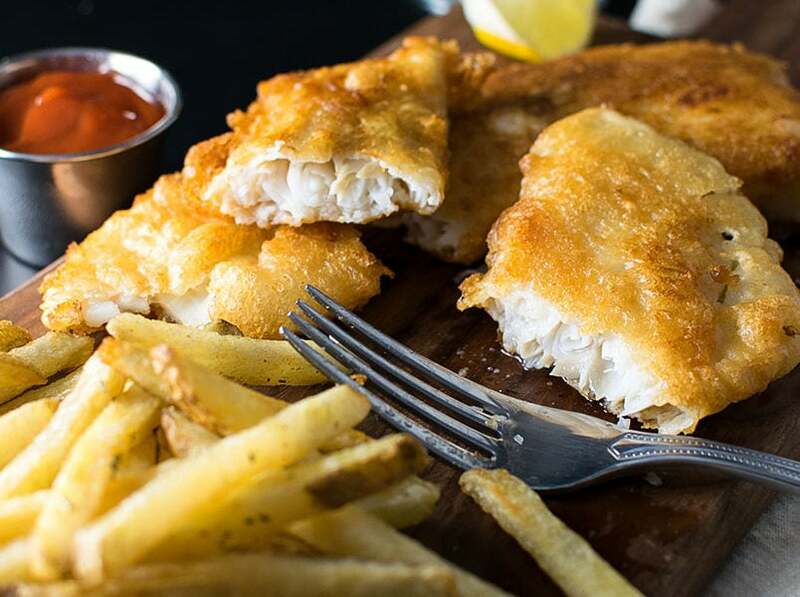 It’s our favorite fish because it’s versatile, flavorful, and good for you. We have a few simple go-to recipes, however recently I’ve been experimenting with more diverse ingredients. 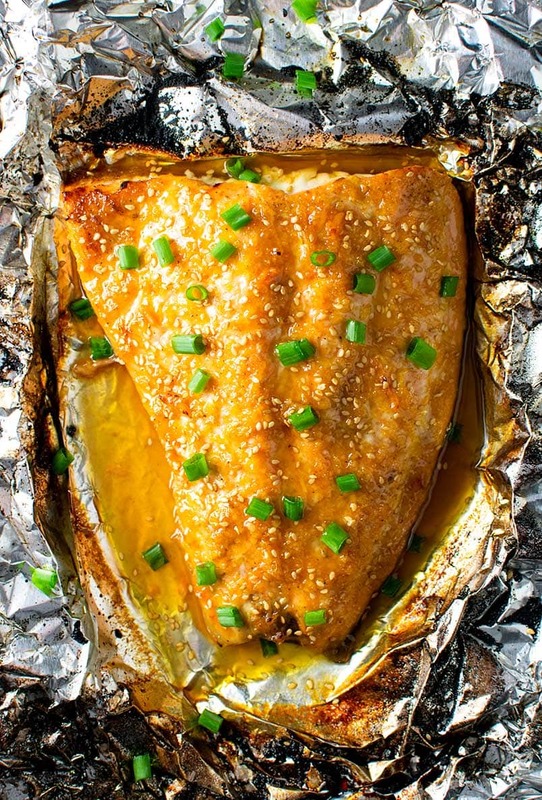 This recipe is a spin-off of my very popular salmon/trout in foil with garlic butter. 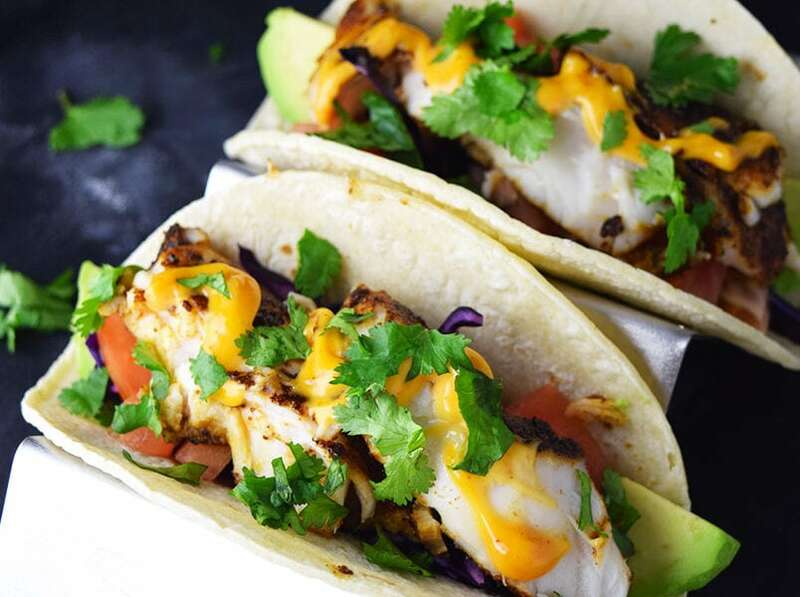 If you haven’t tried that recipe yet, it’s one for the books…except for us, right now. Gloria (our new little one), has a diary intolerance, so Patty and I are dairy free for the time being. We’re putting butter, cream, and cheese on the back burner for now and embarking on creating flavorful, dairy-free recipes. It’s not so bad with cooking (goodbye Italian food), but more of a challenge with baking. 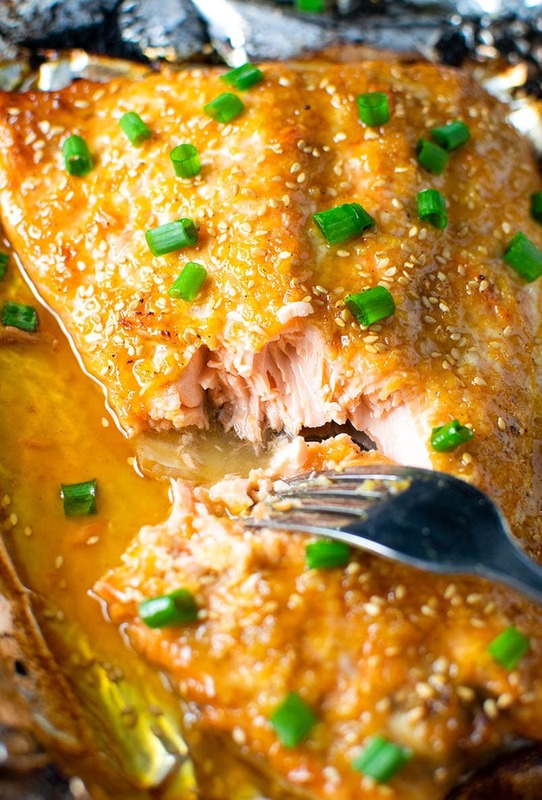 Ginger glazed salmon is a winner because it’s so simple with minimal cleanup. It’s also packed with so much flavor thanks to the freshly grated ginger and honey. I’d describe this as a sweet and savory sauce with a kick of fresh ginger and sriracha. 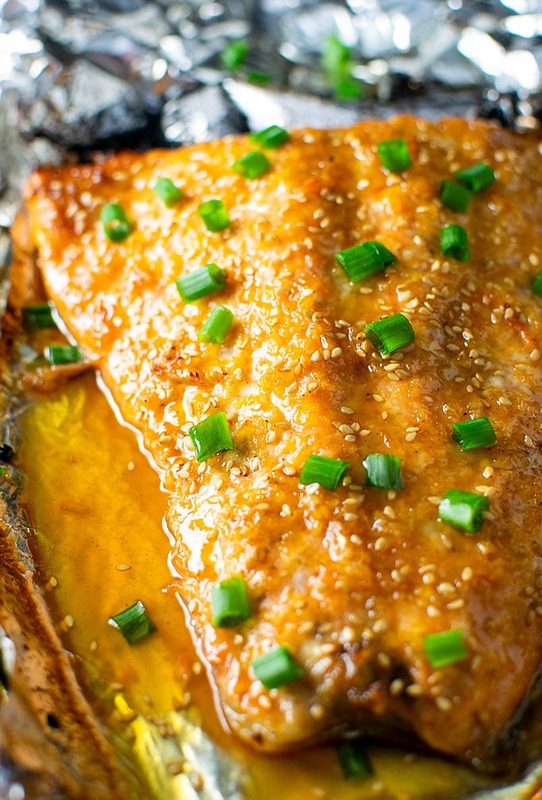 The honey will caramelize under the broiler, giving your salmon a slightly sticky glaze. 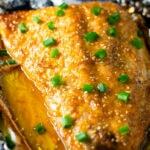 The sesame ginger glaze is a simple mix of garlic, grated fresh ginger (don’t substitute with the dry spice, it just doesn’t compare! ), sesame oil, honey, fresh lime juice, and a dash of sriracha (add more for more prominent heat). It’s tangy, sweet, and has a subtle kick. Douse a piece of salmon with this sauce, wrap in a foil packet, and throw in the oven. No frills. The MOST important step—let broil uncovered for 3-5 minutes at the very end. 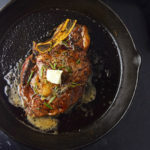 This will caramelize the outer crust and give you a delicious browned finish. In a small bowl, mix together ginger glaze ingredients and set aside. Spray a sheet of aluminum foil with cooking spray and place the salmon fillet in the center (note: you may need to use two overlapped pieces of foil for larger surface area). Fold up all 4 sides of the foil. Season salmon with salt and pepper. Pour the ginger glaze over the entire piece of salmon. It’s okay if some pools around the sides. 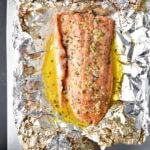 Fold the sides of the foil over the salmon, covering completely, and seal into a closed packet. 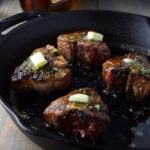 Place on a baking sheet and bake until cooked through, about 15-20 minutes for medium. Remove from the oven and carefully open the foil, exposing the top of the fillet. 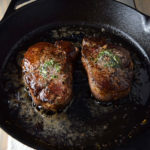 Spoon some of the runoff ginger glaze over the top of the fillet, return to the oven and broil on high for 3-5 minutes for a browned top. 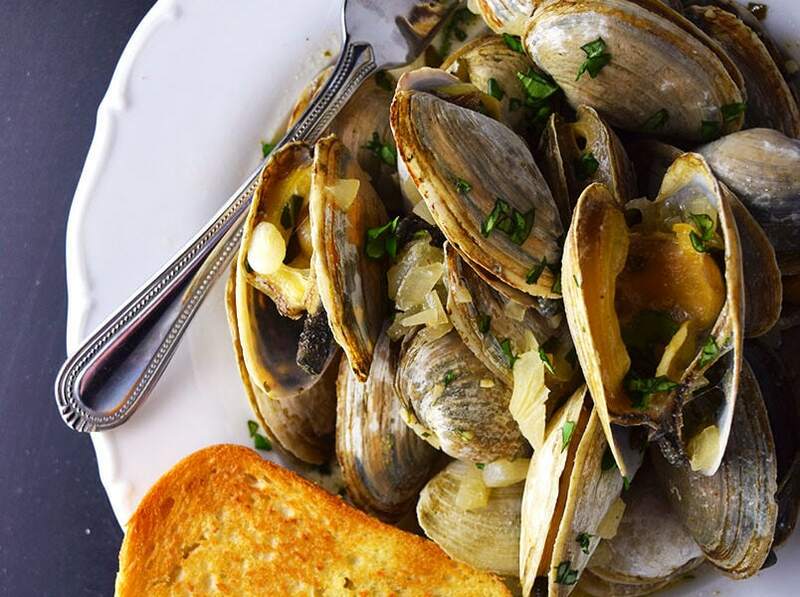 Serve immediately garnished with green onions and sesame seeds. 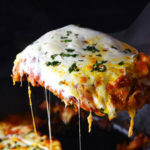 This recipe was very delicious! I put veggies on the cookie sheet too tossed with a little olive oil & seasoning. Then put some of the liquid from the fish on them when served! So good!! !